Out of print but now available direct from myself - Clive Barrett - the designer and illustrator. This is DECK ONLY. There is NO BOX. Price £25, (plus postage and packaging). Orders are not finalised until you authorise payment. Now reprinted, and available direct from myself - Clive Barrett - the author and illustrator. 156 pages. 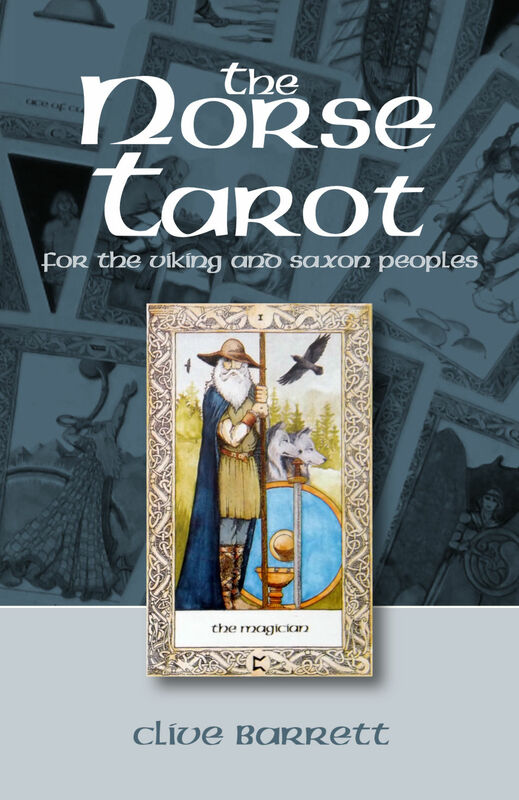 fully illustrated with the Norse Tarot. Price £10.99, (plus postage and packaging). Only available direct from myself - Clive Barrett - the designer and illustrator. 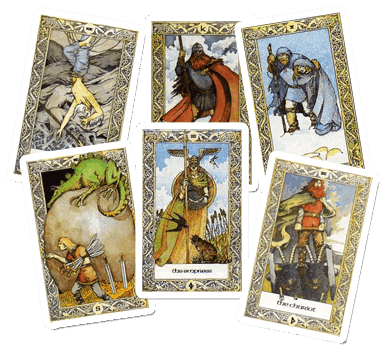 This is DECK and HANDBOOK ONLY. There is no box. Price £35 (plus postage and packaging).